Our historical tradition as a sanctuary for immigrants and a place of learning for the deserving is fundamental to our mission. 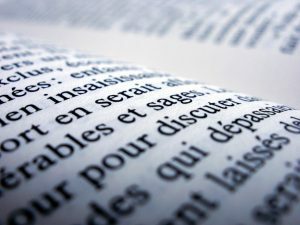 In addition to offering free French Classes on Sunday mornings (see the section under Church Life), we offer our francophone students grants to assist with their educational expenses. Grants are available on a competitive basis to those students that meet certain criteria and have their applications approved by the church committee. Members of the French Church of St-Esprit who are enrolled in higher education are welcome to apply. Every year, the number of grants and their amount is decided by the Grant Committee. This year (2018), the committee has decided to have three (3) prizes of $2,000 each, to be awarded to the best submissions. Contestants will be required, in good faith, to answer a ten-question multiple-choice test and to write two 200-300 word essays, one in English or French about themselves, and the other in French about the life of a notable immigrant or a topic related to the French Church du Saint-Esprit. Please, write these essays before filing an application so you can copy-paste them in in the end. This competition is open to any francophone student, resident of the United States, and a member of the French Church du Saint-Esprit. The application period starts in July of each year and is open until July 31st. The application process is closed for the year. Please come back in July 2019.